Greetings from State Records! 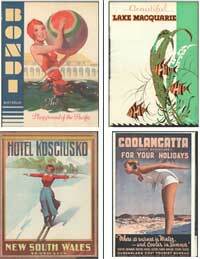 Capture the romance of travel and the holidays with this special range of cards from the State archives collection. Perfect gifts this for family and friends or for that family historian and train buff you know. This set includes four cards, all blank inside plus standard envelopes 14.7 cm high x 10.5 cm wide.